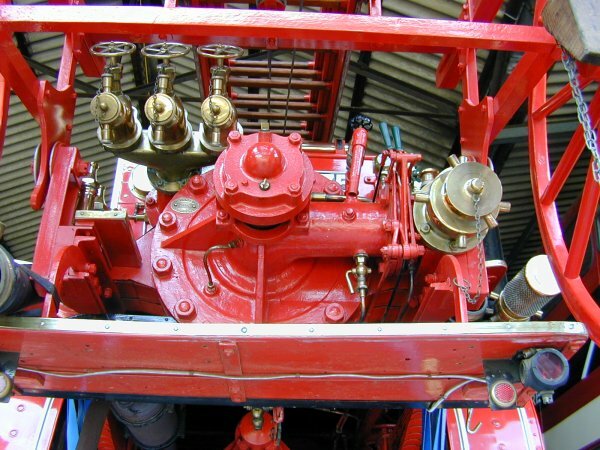 The 90 BHP of the 6 cylinder ‘N’ Type was stated by Dennis to have an 800 gallons per minute pumping capability. This meant that the engine was running at only 2/3rds. of maximum power output. This safety margin of 33% was a standard de-rating figure always used by Dennis in their specifications. 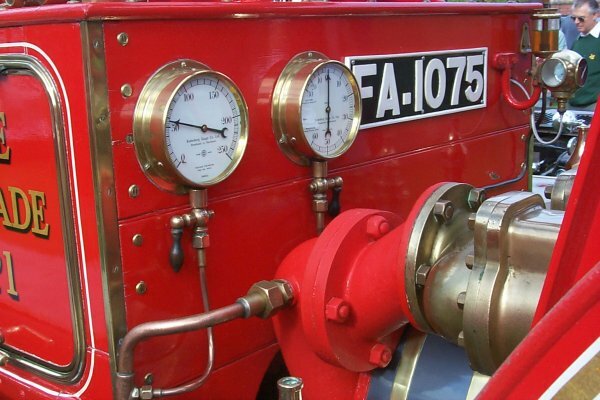 Later 60HP 4 cylinder White and Poppe engines such as that fitted to FA1075 would give at least 75 BHP and therefore 1000 gallons per minute would be available, however with a reduced safety margin of 20%. The left gauge shows the discharge pressure. Most hose was only rated for operation up tp 150lbs per square inch pressure. The right gauge called the 'compound' gauge shows the pressure at which the water is entering the pump. 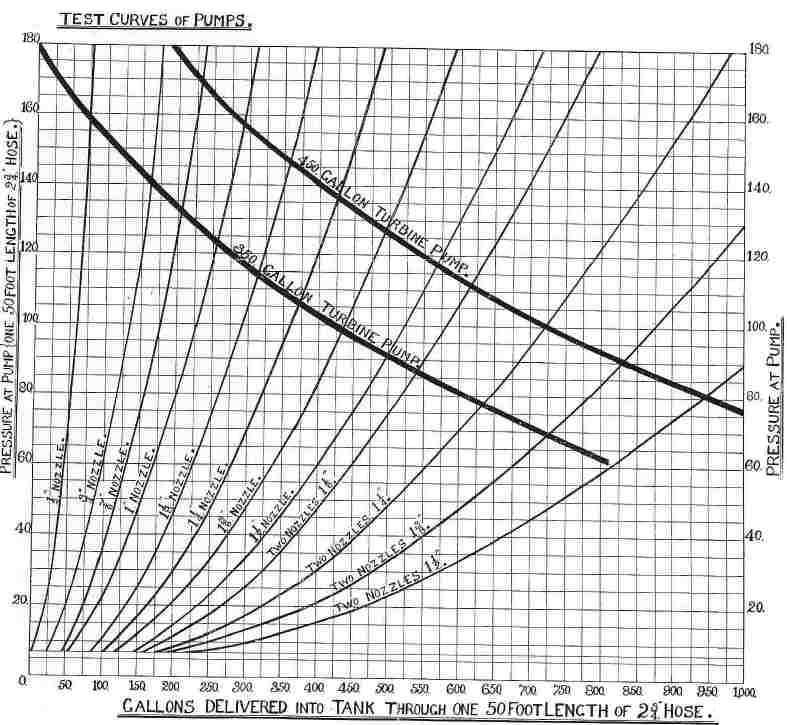 When the pump is being fed by a hydrant there will be a positive pressure indication, whilst there will be negative indication when the suction hose is evacuated prior to drawing from open water. 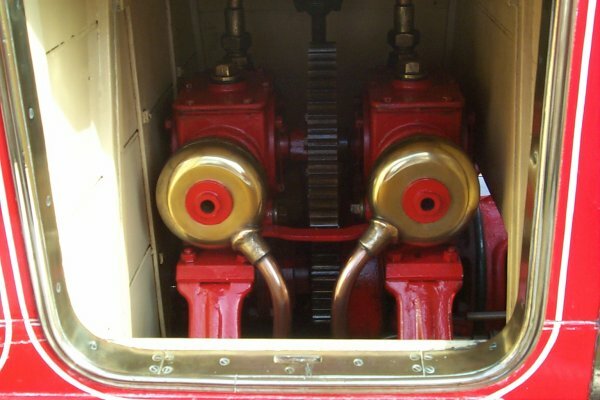 A twin piston primer is located behind the main turbine casing.